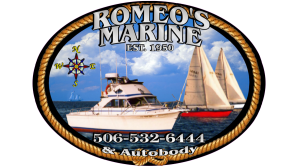 Boat Lifts - Romeo's Marine & Autobody Ltd.
4:00 on Friday, October 19th, 2018. – All Dates Are Weather Permitting! as we have (14) boats confirmed for the lift. – on Friday October 12th, 2018.
please contact the office at 532-6800. These Dates are tentative …. Please call the Marina to book your lift. & you will be notified by email. Proof of insurance is absolutely mandatory at this time. Please ensure that you bring a copy to the office. schedule your desired lift-in date. You will be advised a number in order of lift. to make sure these prices are accurate. Please Contact us so we can put a list together, thank you. There will be no security after that date. – Jamie Storey – jamiestorey@nb.aibn.com, for any changes. 1. To organize for the lift, as boat trailers arrive they will get in line, register, pay the fee and be issued a number in the line up. The number of the current boat being lifted will be displayed at or near the jib crane. You will present your number to the lift operator when boat is at the dock ready to be lifted. 2. There is a separate Mast Crane at the end of the wharf to allow you to raise your mast before after launch. 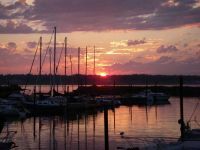 Have your mast turnbuckles ready to loosen when coming to the mast crane and face the boat to the north. 3. Boat owners should have at least three (3) persons helping with their lift. 4. Have your mast turnbuckles ready to loosen when coming to the mast crane and face the boat to the north..
5. Non-member Unscheduled lifts are permitted any day of the week with one or more of the trained operators. Cost is $160(includes operator fee). See List of operators at PYC and SBYC clubs. 7. Maximum lift capacity – 15,000 lbs. Please respond with a date (or two) that you can volunteer to help with the lift. I will then advise of the rosters. 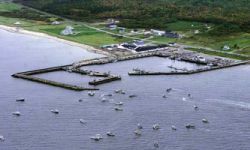 Cocagne Cape Port Authority Inc. Please let one of us know which lift date you plan to use. at 7:30am on lift day in order to take part in the lift. 1-(506)-312-1941 or 576-8002 for any changes. Although every effort is made to ensure the accuracy of published information on or through our Web site, Programs and Services, the information may inadvertently contain inaccuracies or typographical errors. We are not responsible for the views, opinions, or accuracy of facts referenced in our Web site, Programs or Services, or those of any other person or company affiliated with us in any way. Every effort has been made to present you with the most accurate, up-to-date information.